Don't shortchange yourself when it comes to a wedding venue. You will be very sorry if you get to your location and you realize you hate the décor of the walls or the ceiling. You want a comfortable feel and a pleasant ambiance that you would be proud to say you had your wedding there. You shouldn't have a problem finding such a venue in the Atlanta area. But to find the right one for you, some pre-planning and knowing what to ask is essential. As you start to research wedding venues, make sure you find out if the facility you are interested in has a manager. This is important because they will be your main contact for anything related to the venue. Make sure the manager will be at the facility on the day of your wedding. This will really help in making sure everything goes smoothly and that there are no hiccups. A lot of people don't think to ask about parking so that is why we are mentioning it here. If you have over 250 guests at your wedding, this might be an issue. If there is not ample parking, check to see if the facility will provide a shuttle. Another major issue is time. How long can you book the location for? Do they demand an absolute drop dead ending time? Find out about the service charge for the food and drinks. You don't want to be given one price thinking it looks pretty reasonable when the service charge has not been added in. In the same vein, what is their tipping policy? One question that you must ask is whether you are locked into using the venue's wedding vendors if you rent their location. You want to find this out because some sites demand that you use their vendors and if you want to opt out, you will pay a major cost. This may be something you want to avoid unless you really love the venue and if money is no object. Also, find out what the site allows in terms of drinking and open flames. Some museums for instance, ban certain drinks because of its staining power. Also, there are locations that will never allow open flames because of what they house at the facility. When it comes to drinking, you might want to ask how much they charge if you bring in your own wine. This is usually a per bottle fee. Keep in mind it may save you money because the location's wine is usually sold at a triple markup. You will want to lock down all times including what time you can have access to the venue for setup. And make sure there are no restriction on anything like your wedding photography. When you see everything in writing, make sure the cost structure is broken down into individual fees for everything that you specify. If you don't see something, think about it. If you see something that doesn't look kosher, ask about it now. You want all particulars spelled out in writing so there are no surprises on the day of. 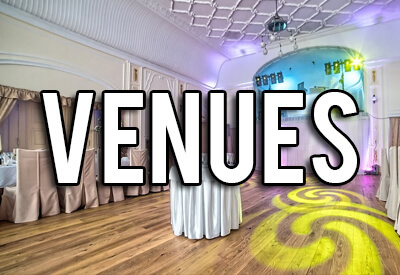 Finding and booking the perfect wedding venue is a large step towards have a very successful special day.